It appears to be an epidemic! First it was that capybara down near Paso Robles, California, and we just saw Jack, in Henley, England get captured. Now there is a sighting in Japan, and we can pretty sure it isn’t Jack! Over the years there have been sightings near Shreveport, Louisiana, in Florida, and there have been previous sightings in England. Still, we anxiously await news of Rousabelle, who went walkabout in West Virginia in late April. Has anyone seen little Rousy? Ryukyu Shimpo – Okinawa, Japanese newspaper, local news » Capybara appeared at Arakawa river escapes. The number of loose capys makes me wonder if people are dumping them the same way people seem to dump all sorts of pets that get too big or too much trouble. I really hope not. I also really hope these loose capys are caught and returned home! I think we are just seeing some seasonal wanderlust. When I am outside the front yard, Dobby just stands at the gate, waiting impatiently for me. That is why my back yard is double gated, and in addition he is locked into a pen at night. On the other hand, my personal opinion is that the one in California was set loose. 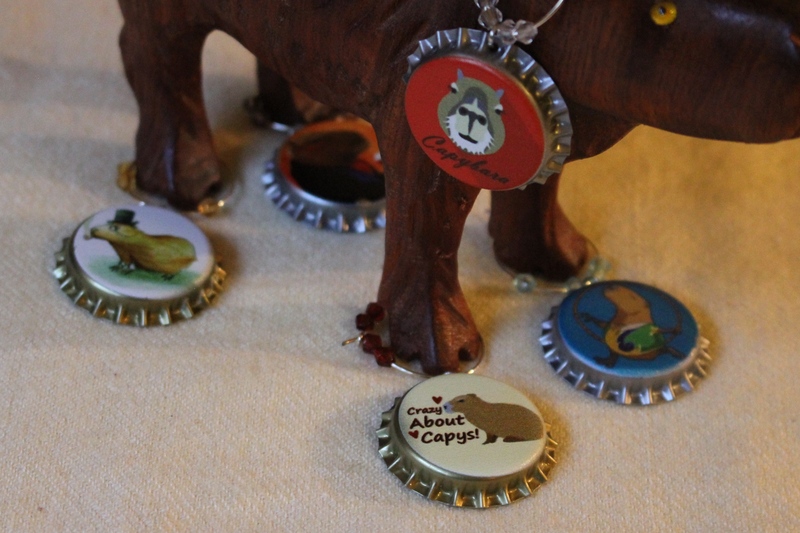 That guy nearby who “used to have” capybaras was less than enamored of them, and I suspect the reverse was also true!